The University of Georgia Football Fan Day presented by UnitedHealthcare will be held Saturday, Aug. 4, at Sanford Stadium. For the third year in a row, the Bulldog football team will hold an open practice at the stadium from 3:30-5:30 p.m. Players and head coach Kirby Smart will be available for autographs immediately following the practice on the field at approximately 5:45 p.m. and admission is free. 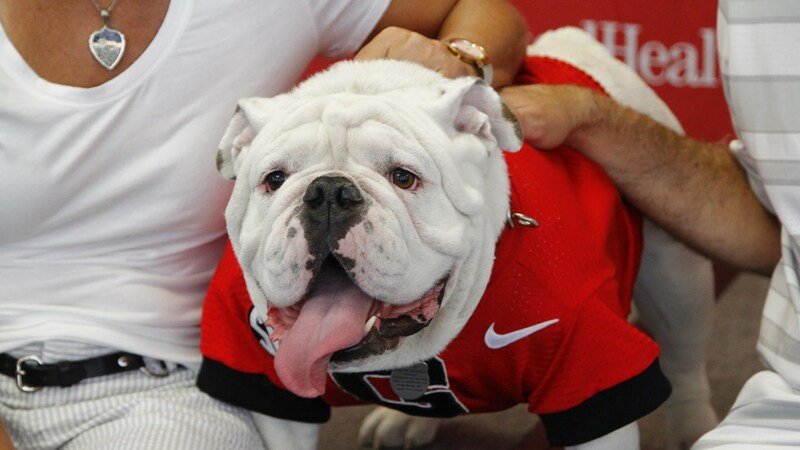 Fans will also have an opportunity to take photos with Uga X beginning at 3 p.m. Special ticket coupons are required for access to the Uga X location and those tickets will be distributed to the first 150 fans at noon from the East End ticket windows on East Campus Road. Ticket holders who want to see Uga X must be in line by 3:30 p.m. Only those with a ticket are guaranteed a photo and no stand by tickets will be issued. Fans may enter the stadium through Gates 2, 4, 6 and 9 beginning at 2:30 p.m. and can sit in the 100 and 200 levels. The West End Zone will be closed due to construction for entry and seating. The open practice, which is scheduled to start at 3:30 p.m. will last approximately two hours. At the conclusion of practice, fans wishing to participate in Fan Day can enter the field through the four corner gates. Fans may begin lining up at 5 p.m. Following practice, the Georgia football team and Coach Smart will be available for autographs for 45 minutes. The gates to the field will open once the autograph session has been set up. In an effort to facilitate as many autographs in the time allowed, fans are limited to two posters per person and fans will only be allowed to have the 2018 Georgia football schedule poster signed. The poster will be available as fans enter the field for the autograph session. No other items will be permitted for autographs and no posed photographs with players or Coach Smart will be permitted. Parking is available in any lots along East Campus Road, Psychology-Journalism, Legion Field, Tate Center parking deck, Hull Street parking deck and North Campus parking deck. Concessions will be available in specific areas on the 100 and 200 levels. Coca-Cola products, hot dogs and assorted snacks will be available at the concession stands. Fans can purchase officially licensed merchandise at the UGA Bookstore, located in the Tate Center and open from 10:00 a.m. until 7:00 p.m., or inside Sanford Stadium in the Reed Plaza area. In case of inclement weather, the Fan Day portion of the afternoon would be cancelled. Please check georgiadogs.com for more details on the day of the event.